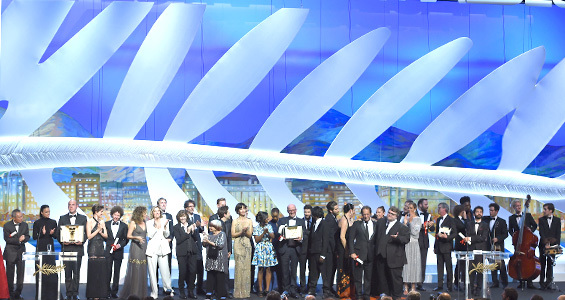 The Jury of the 68th Festival de Cannes, presided by Joel and Ethan Coen, has revealed the names of the 2015 prize-winners during the Awards Ceremony. After paying tribute to Jean Zay, a resistance hero and founder of the Festival, Lambert Wilson welcomed the prize-givers and winners onto the stage of the Grand Théâtre Lumière, to the sound of music playing. The Belgian actress, Cécile de France, had the honour of awarding the Palme d’or to the best of the 19 films in Competition. The closing film La Glace et le Ciel (Ice and the Sky) by Luc Jacquet was screened at the end of the Ceremony. Tamas ZANYI, sound engineer, for the outstanding contribution of sound to the narration of SAUL FIA (Son of Saul) by László NEMES.